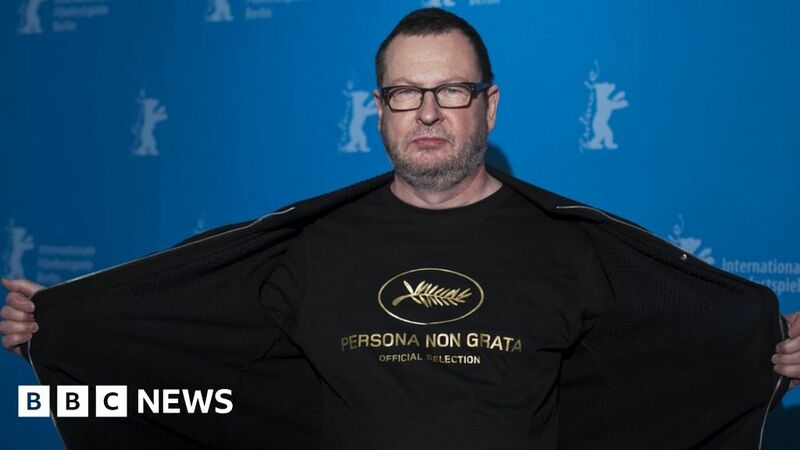 Seven years on from his infamous “Nazi” comments, Lars von Trier is back at the Cannes Film Festival. Will he hold his tongue this time? Lars von Trier’s reputation as an impish provocateur was already well established when he came to Cannes in 2011 with his apocalyptic science fiction fable Melancholia. Yet the Danish film-maker tested the festival’s tolerance past its breaking point during a press conference in which he joked he was a Nazi. In whatever spirit his remarks were intended, they were enough to see him banned from the event and branded a “persona non grata” by its organisers. Seven years on, it’s only to be expected that von Trier’s return to the festival with a new film – serial killer thriller The House That Jack Built – is one of this year’s biggest talking points. The film, which stars Matt Dillon, Uma Thurman and Bruno Ganz, has its premiere outside of the main competition on Monday night. Von Trier, who hates to fly, has travelled down to the south of France in the camper van he always uses to traverse mainland Europe. The BBC News website caught up with his producer, Louise Vesth, to see what we can expect when he arrives. How much press will Lars be doing this time around? We have no official news conference, but we will do the press we can handle in the few days he is here. That is if he doesn’t turn around and immediately go home again – with Lars you never know. Could you blame him after 2011’s media storm? It’s insane; it’s seven years since he said those things but now that’s the story of him and Cannes. He said immediately after that he was not a Nazi and he didn’t mean what he said – he was trying to make a point and be a little funny and provocative and it went in the wrong direction. But if you put a sensational mark on somebody they never get rid of it. Were you ever concerned he might not have been joking? For me it’s clear he’s very left-wing in his political standpoint and I have never seen him think badly of any religion or political position. He just wanted his freedom of speech, and he wants us to be able to talk about everything, including bad things about human beings. I hope it will come out in a better way than last time. What can we expect from The House That Jack Built? Lars has said he’s made a long run of films about good female characters and needed to make a film about an evil man. For years he worked with strong female actresses and it was important for him to make strong female characters for them to play. Now he’s moved on to something else. How gory and gruelling is the end result? It’s not too bloody. Of course we have some graphic images, but they’re very short and very few. It’s more about the psychological side of evilness. I think there’ll be a huge reaction to the film. How important is Cannes as a launchpad for films like this one? When you have a film-maker like Lars, making films that could never have been done by anyone else, you need to have a stage. Cannes is absolutely perfect for that, so I think it’s great he’s back whether you like his work or not. The House That Jack Built does not have a confirmed UK release date yet. The Cannes Film Festival continues until 19 May.